There is a whole generation of children like me out there who learned self-worth from this soft-spoken former Pennsylvania minister. We went through this every day. There was nothing more comforting than Mr. Rogers taking off his dress shoes — the kind my father wore — and changing into sneakers. It meant that for a half hour, it would be peaceful in our house. And then he would leave me. Again. “He’ll be back tomorrow,” my mother recalls saying to me every day for years as she pried me away from the TV. Mr. Rogers leaving meant that another man, my father, would take his place in my world. It meant holes punched in walls and dishes shattering on the floor. It meant hiding under a table as I watched abuse that went on for years. Mr. Rogers leaving meant that another man, my father, would take his place in my world. It meant holes punched in walls and dishes shattering on the floor. 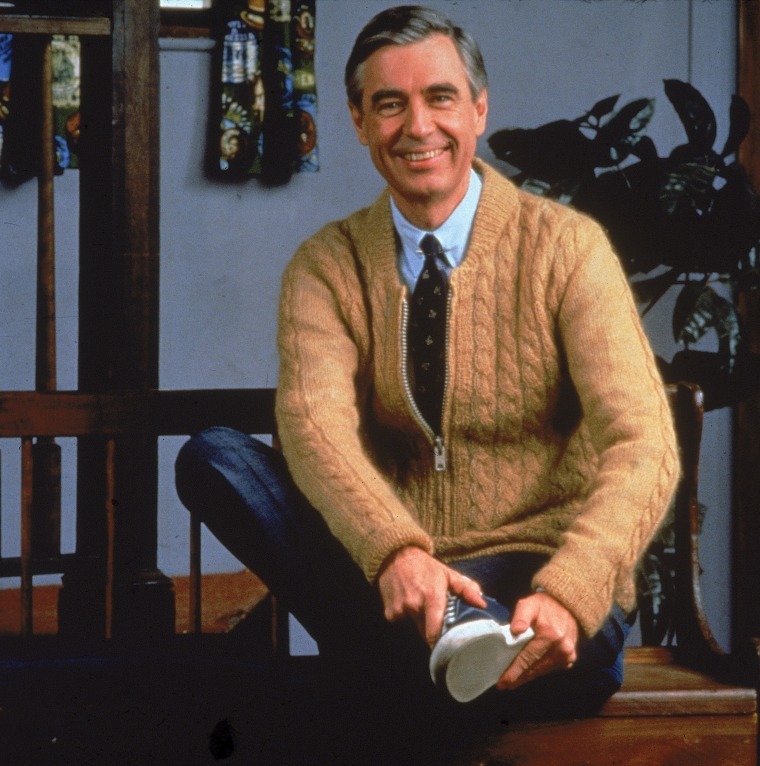 I know I’m not the only kid Fred Rogers helped raise — there is a whole generation of children out there who learned kindness and empathy and self-worth from this soft-spoken former Pennsylvania minister who told us daily that he liked us just as we were. These values, and the slow pace of a program like “Mister Rogers’ Neighborhood” or its modern-day counterpart “Daniel Pink’s Neighborhood,” have been show to promote focus, according to pediatrician and epidemiologist Dimitri Christakis in a 2011 TED Talk on Media and Children. Sadly, such programs now face stiff competition. Today, children are introduced to the world of TV, mobile apps and movies at ever-younger ages. This media onslaught has in some ways overshadowed the communitarian, benevolent and empathetic values modeled by programs like “Mister Rogers’ Neighborhood,” according to a study of TV shows from the 1970s to 2007 by psychologist Patricia Greenfield, director of the Children’s Digital Media Center at UCLA. Over the course of 50 years, measured at ten-year intervals, the study examined how the values of television radically changed to match the larger social changes of the moment, measuring the arc from traditional family-based shows like the "Andy Griffith Show" (1967) to programs like "American Idol" (2007), a show focused on individual success and the quest for personal fame. Children who watch a lot of television are likely to absorb the messaging — both good and bad — of their fictional friends. The good news is that there are still some shows that are attempting to follow in Rogers’ footsteps. Angela Santomero, the psychologist and creator behind programs like “Blue’s Clues” and “Daniel Pink’s Neighborhood,” met Rogers as a young TV producer of children’s television and has been trying to emulate his approach ever since. Santomero says she sees promise in a new generation of viewers and their parents. This is good, because children who watch a lot of television are likely to absorb the messaging — both good and bad — of their fictional friends. I think that ultimately, the most important thing Rogers taught me was resilience, a quality that I realize in retrospect helped me survive my childhood. It’s also one that psychologists who work with young survivors of family violence and other trauma see as the key to moving forward with their lives. I think that ultimately, the most important thing Mr. Rogers taught me was resilience, a quality that I realize in retrospect helped me survive my childhood. CORRECTION (June 11, 2018, 10:00 a.m. ET): An earlier version of this article misidentified a current children's television program inspired by "Mister Rogers' Neighborhood." The show is called "Daniel Tiger's Neighborhood," not "Daniel Pink's Neighborhood." Jill Rothenberg is a Colorado-based writer and editor. Her works has appeared in The Guardian, Vice, Runners World, CNN, Narratively, and others. Follow her on Twitter @ejillrothenberg.